Dreams go beyond a superficial assessment of client concerns and allow for a deeper and more meaningful inquiry. Carl Jung discovered that "in sleep we awaken to who we are." He found that we dream our questions, our difficulties and that dreams will tell us what we need to know but don't in our waking life. Dream work in coaching offers an opportunity to invoke an inquiry for greater understanding, awareness and clarity of the important issues in a clients waking life. Dream work can help clients discover for themselves new thoughts, perspectives, beliefs & emotions that strengthen their ability to take action and achieve what is truly important to them. Peter is president of Dynamic Change, Inc., incorporating dream work in life and leadership coaching and teaching Psychology at Vance-Granville Community College. 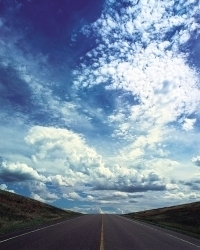 He facilitates classes on the use of dream work in the coaching process for Institute of Life Coach Training, where he completed his coaching training, as well as numerous workshops on dreams at Elon University, William Peace University, The National Wellness Institute and the Center for Creative Leadership. 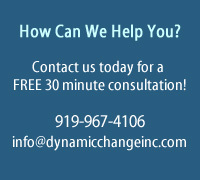 Dynamic Change Inc. is the first organization to offer dream work & creativity in coaching, classes or speaking engagements as a means to realize, engage and tap into the "whole mind". That's because of our extensive training and experience in using dreams for growth and development. Introductory presentations and workshops on understanding and using dreams are designed to foster and facilitate greater self awareness, personal and professional development. Experiential exercises help participants integrate new insights in a supportive environment. Contact us to schedule a presentation or workshop. "Dreams and the images in dreams bring an energy that has transformational potential. Our capacity for self dececption is truly monumental." "Today the defining skills of the previous era - the "left brain" capabilities that powered the Information Age - are necessary but no longer sufficient. And the capabilities we once disdained or thought frivolous -the "right brain" qualities of inventiveness, empathy, joyfulness and meaning -increasingly will determine who flourishes and who flounders. For individuals, families and organizations, professional success and personal fulfillment now require a whole new mind." "All Dreams speak a universal language and come in the service of health and wholeness." "All dreams break new ground and invite you to new understanding and insight." "Even frightening dreams or nightmares may come to us in a negative form to grab our attention." "Each Dream comes with multiple meanings and layers of significance"
We will never dream anything that is not useful or needed"
Dreams can assist the coaching process by helping clarify what coaching needs to focus on. They offer a tremendous opportunity for self awareness, growth, insight, creativity and innovation.